Our most packed show to date featuring some of the top Canadian Suppliers in Canada and North America along with a leading transformer manufacturer based out of Germany. We explore large-scale mining projects in Canada, unique challenges suppliers are facing, and new technology being used to increase efficiency and profitability. Canada is 3rd only to the United States and Australia in the amount of companies that supply the mining industry with more than 3700 businesses providing process machinery, exploration equipment, and heavy equipment. Canada is also a leader providing professional services that we sometimes don’t think of when we talk about mining such as engineering, construction companies, even banks, legal & accounting firms, and business consultants. For this show we focus on three types of products supplied to Canadian mines; electrical, fluid management, and mobile infrastructure. Our first guest is is the Director of Sales at SGB-SMIT, Rudiger Weinhardt who visited Vancouver to attend CIM BC to promote their high quality transformers into the North American market. Second we are joined by Rana Elbittibssi, Territory Manager for Xylem Inc to examine major projects completed in the mining sector, challenges, and new technology that gives clients real-time data to monitor their fluid handling systems. Our last guest Adam Kaufman, Northern BC Manager from Big Steel Box joined The Crownsmen Podcast to discuss the challenges and opportunities of letting potential customers know your business’s full scale and reach once they are known to service a very specific area. According to Mining Association of Canada (MAC), mining companies spent approximately $7.8 billion towards the suppliers of the industry in 2015. Experts claim the largest beneficiaries of mining revenues are companies that supply equipment and services to mining operations, accounting for up to 37% of the total. This episode examines how companies enter the Canadian mining market, how unique challenges are met with a wide range of custom designed equipment, and how you reach and compete in the world’s third largest mining market. Listen to or Watch The Crowmsmen Podcasts to stay up-to-date on the latest technologies, challenges, opportunities, and government policies related to the industrial sector. 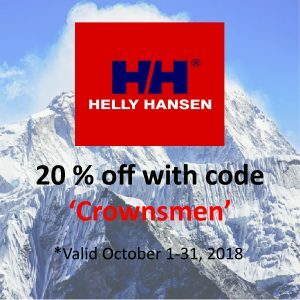 Read Crownsmen Industrial Reports or Watch Interviews with Industrial Leaders for in-depth insights into their industries, companies, and products. © 2018 Crownsmen Partners. All Rights Reserved.